The Xiaomi Mi 8 Explorer Edition launched back in May as the most expensive and advanced of the three Mi 8 versions, but was initially only said to have one memory configuration - 8GB of RAM and 128GB of non-expandable storage. The latest listing from TENAA, however, suggests that the Chinese powerhouse is preparing multiple versions of the phone with different storage options. 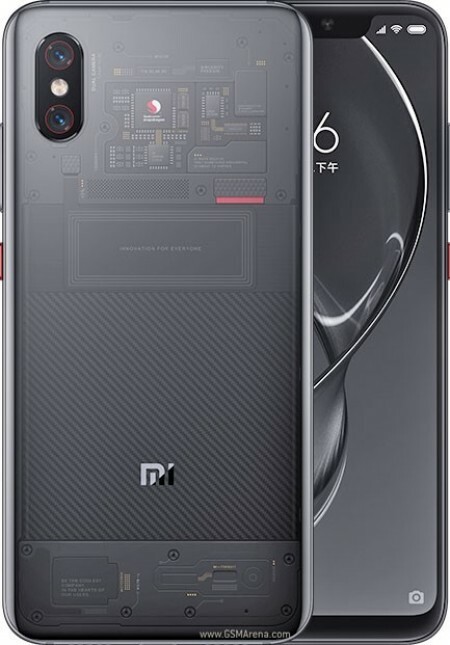 We can clearly see from the images and the model number that this indeed is the Mi 8 Explorer. The document lists 4GB, 6GB and 8GB of RAM as well as 64GB 128GB and 256GB of storage. Unfortunately, we are don't know how Xiaomi is planning to match those memory configurations because for now, only the 8GB/128GB combination is confirmed. This leaves the 4GB RAM to be paired with 64GB flash storage and perhaps 6GB RAM with 256GB storage. Having one version with more storage and another with more RAM isn't unheard of as Xiaomi has done this before but we remain skeptical. We will probably know soon enough as the TENAA listing clearly indicates a closer market release. The price was disclosed by Xiaomi as CNY 3,799 ($570) for the 8GB/128GB version, but the other versions are yet to be officially priced. Not used or seen that, yet!! !